Design is an activity that has become fully part of our lives. We live in a world that is shaped largely by human effort and in which design is so present that it often becomes invisible until it ceases to work. However, design enables us to constantly, consistently, solve problems that generate great social impact. In this show, the Museum of Design in Barcelona focused on design that is expressly aimed at improving the lives of the users it is intended for, the environment in which it operates and the society to which it belongs. To demonstrate the key role that design can play in providing solutions to everyday problems of different types, improving the welfare of citizens, both in our immediate context and in more distant geographical regions. This was the main purpose of this exhibition, which took place at the Museu del Disseny de Barcelona from February the 19th – May the 17th. The XO Laptop was part of this exhibition of the 99 design for life projects. Find a list of all the pieces exhibited here and more details about this exhibition in the press dossier. John Watlington, CTO of OLPC shares the secret behind the technology that allows thousands of people in the developing world that have access to computers. In this link you can download an e-book written by Professor Valente’s group at UNICAMP about the usage of the XO in one school. The book registers the research done by his group with 520 XO’s donated by OLPC in 2009/10, around a participatory methodology to deploy laptops at schools. The book is in portuguese only. This book chronicles some search results ” XO in school and beyond: a proposal for semiochemical participatory technology, education and society“developed in EMEF Fr Emilio Miotti, Campinas (SP), between 2009 and 2012.Considering that digital technology has transformed the way we interact, communicate and live in contemporary society, the school as an institution and social organization, can not remain oblivious to these changes. In this space, building knowledge and skills sets technology serves as a catalyst for change. The book summarizes the studies and proposed solutions to problems raised by members of the school community – teachers, administrators, students, parents and researchers – from the use of a participatory methodology based guided the deployment of laptops through educational settings where technological resources are used in a significant way to school and bringing benefits to society. 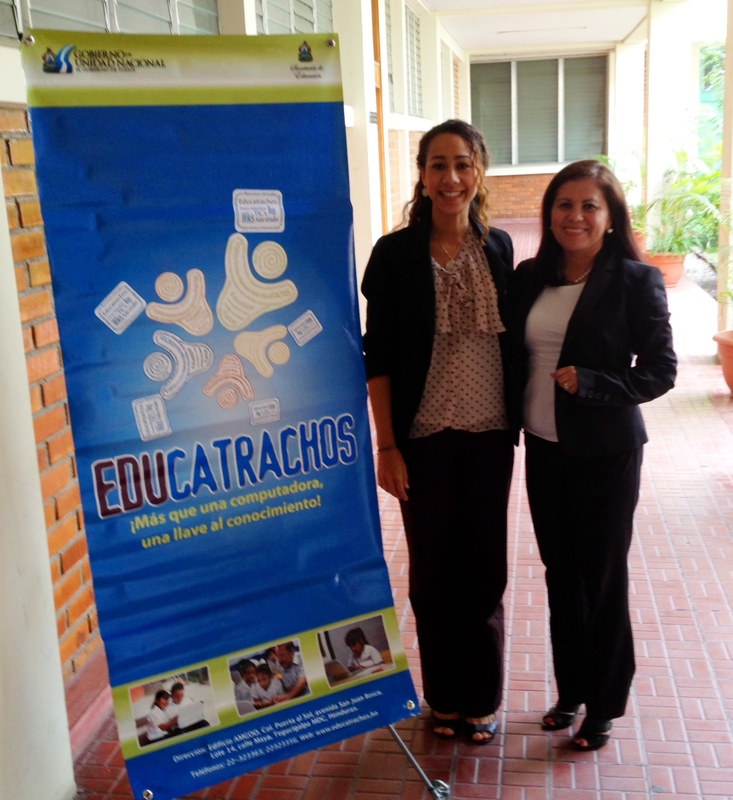 The OLPC team conducted a training program with the Educatrachos teachers team from November 12 to 15, 2012 in Tegucigalpa, Honduras. The training focused on integrating the Sugar Activities into the existing curriculum with an emphasis on Spanish and Mathematics. Teachers were instructed on the various teaching resources contained within the XO laptops. 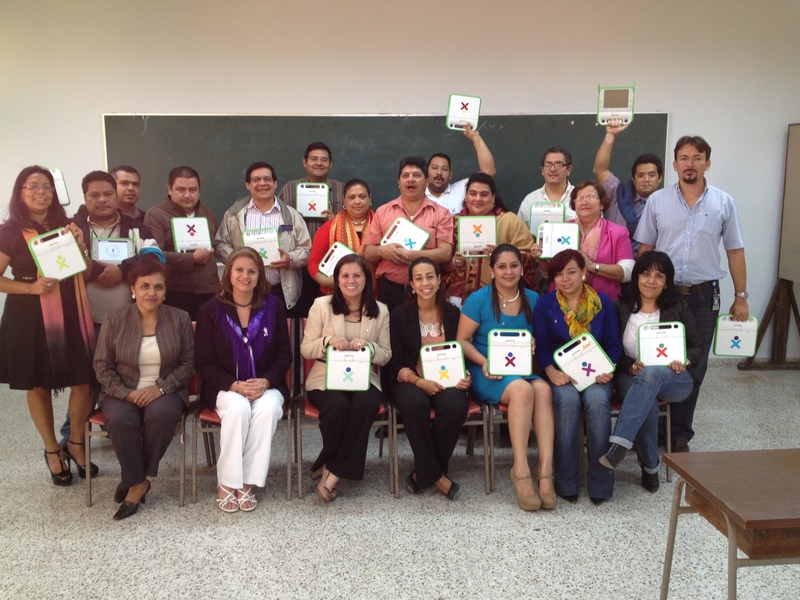 The OLPC program in Honduras will benefit 54,000 students in grades 3 to 6 in 545 schools throughout the country. These students will all have access to XO laptops and digital educational programs. This program is funded by the Inter-American Development Bank in coordination with the Government of Honduras. The main goal of the Elementary Education and Technology Integration Program is to improve the learning of students in the poorest elementary schools in Honduras. The program will involve training activities and will provide ongoing support to the teachers. In addition, the program is working to provide textbooks and other educational materials to these schools. The project has a special focus on the incorporation of new technologies in education.